From 18-20 November 2015, the project partners met in Saponara, Sicily, to continue the conceptualisation of a data platform to improve the support of vulnerable people in case of emergency evacuations. 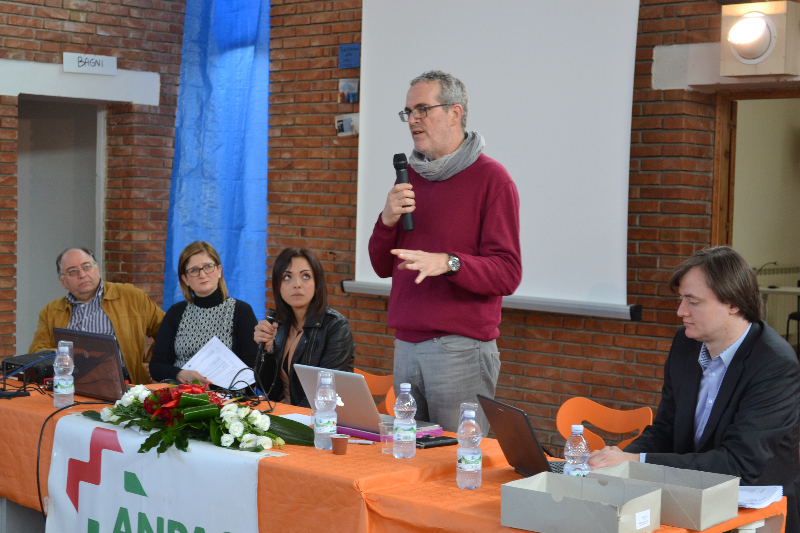 The second workshop took place in the operational centre of the local branch of ANPAS, one of the Italian project partners. The choice of locale underlined the significance of the project for the participating communities: The very building in which the workshop was held was all but destroyed by a flood in 2011 and had been restored by the local hosts. The first conceptual points for the ADAPT data platform were collected at the previous workshop in Bolzano earlier this year. 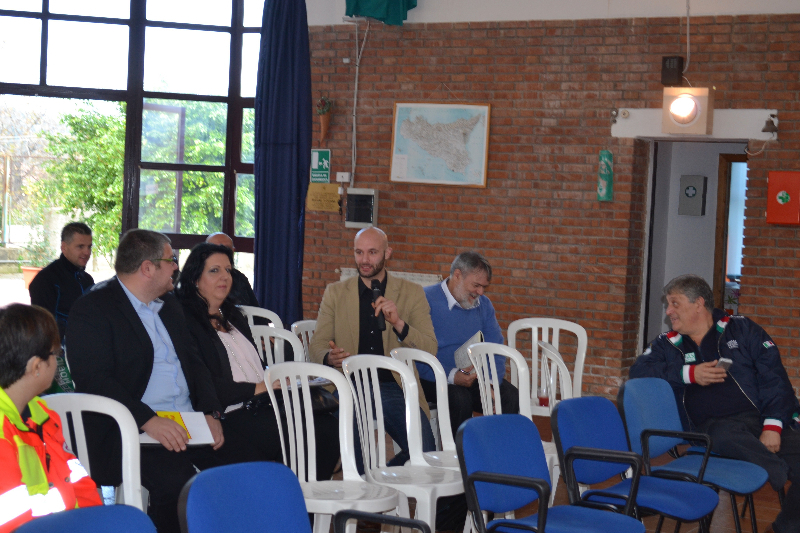 In Saponara, the group discussed the open points in more detail. Since the last workshop, the project’s legal subcontractor had also worked out preliminary guidelines on open questions regarding data protection, which were also presented at the workshop. Local stakeholders such as disaster relief workers and municipal representatives from the participating communities participated in the exchange. With the collected information from the workshop and technical contacts from the stakeholders, the project’s IT service provider will be working out a draft concept for the core data platform. This draft will once again be checked with the local levels, before a working preview will be created for the next workshop. Besides the evaluation of the first version of the data platform, the next workshop will focus on the main non-technical challenge of the project: To enable the communities to collect and maintain high-quality information to be prepared for emergencies. This will include considerations about dissemination as well as shared maintenance responsibilities among public and private stakeholders on the ground in each of the participating communities.